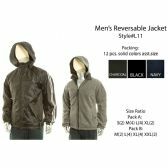 Welcome to the best collection of high-quality, low cost men’s wholesale jackets on the web. 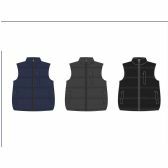 We have a great selection of men’s jackets and winter coats here for you and they are all available in bulk cases at the lowest wholesale prices. This selection of wholesale deals on wholesale ski jackets, discounted puffer jackets, wholesale bomber jackets and wholesale windbreakers would be a great purchase for a men’s apparel store or discount clothing store. These jackets would also be a great buy for our charity customers, a donation to a church or school appeal, or as warm clothing to send to an emergency aid appeal. 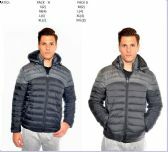 As always, we have the biggest wholesale discounts on all our men’s winter warm jackets. 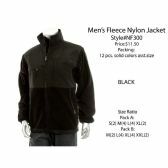 What you will find here are massive bulk discounts on bulk bomber jackets, discounted reversible jackets and bulk windbreakers, the lowest wholesale prices on discounted ski jackets, wholesale puffer vests and wholesale fleece jackets, and we promise you that you won’t find cheaper prices on bulk puffer vests, discounted fleece jackets and discounted bomber jacket anywhere else. Wholesale Sock Deals is the home of big bulk discounts, that’s why we always offer the best wholesale deals on bulk ski jackets, discount puffer vests, bulk fleece jackets and discounted windbreakers, all the year round. So, don’t miss out on these huge savings; order your cheap bulk wholesale cases of wholesale puffer jackets, wholesale reversible jackets, bulk reversible jackets, and all your men’s jackets and get yourself a big bulk discount deal on all your wholesale purchases today! What are you waiting for! Don’t you want to get the biggest wholesale discounts on men’s jackets? 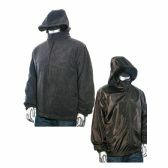 Order your bulk cases of inexpensive men’s jackets now and save some money for your retail store of charity. This amazing range of discounted ski jackets, bulk puffer jackets, wholesale bomber jacket and discounted fleece jackets would look great in your men’s fashion store or a discount apparel store and they would make a wonderful donation to a charity, church or school. 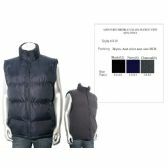 We have some incredible bulk deals on wholesale puffer jackets, bulk windbreakers, discounted reversible jackets and bulk bomber jackets, and the biggest wholesale discounts on wholesale puffer vests, bulk ski jackets, wholesale windbreakers, and wholesale reversible jackets. Wholesale Sock Deals always offers the best wholesale deals on bulk reversible jackets, discounted windbreakers and discounted puffer jackets, and we deliver for free as well. So, stock the shelves of your retail store or charity distribution center with the best quality, low-cost wholesale, men’s jackets on the market. 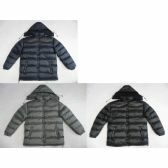 You won’t find low wholesale prices like these on such good quality wholesale ski jackets, bulk puffer vests, discounted bomber jacket, bulk fleece jackets and wholesale fleece jackets anywhere else because Wholesale Sock Deals is the best wholesale supplier of men’s jackets, men’s fashion and men’s everyday clothing. 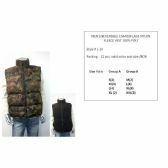 Place your order now for your selection of top quality wholesale men’s jackets and men’s winter coats and take advantage of the huge bulk discounts that we offer, right across the board, on our entire range of inexpensive men’s fashion and apparel.